Personal Financial Planning has always been a major focused on people first. With the addition of the new Peer Mentor Program, fellow students are now included in that focus. This program was a student-driven initiative that began during the 2017-18 school year. A handful of juniors and seniors in the major noticed the newer students were struggling at the Professional Connections event in the fall. They realized some of their classmates had never learned how to shake a potential employer’s hand, how to dress professionally or how to ask good questions. Thus, the Peer Mentor Program was born. This school year (2018-19), a group of nine highly qualified juniors and seniors in the major each began working with four to six new students as mentees. Transfers into the major and freshmen coming in are placed with a mentor automatically. This gives them a resource and a friend right off the bat; someone to answer their questions, sit next to them at Financial Planning Association meetings, and invite them to get more involved across campus. 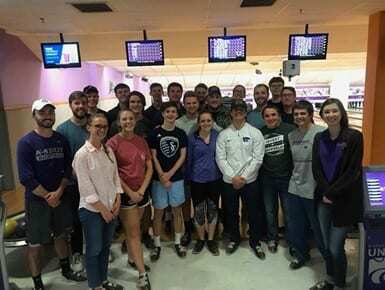 Personal Financial Planning majors at K-State are empathetic leaders, determined to help their peers succeed, and this program is proof of that.